It died a brutal death…torn to bits and scattered far and wide. 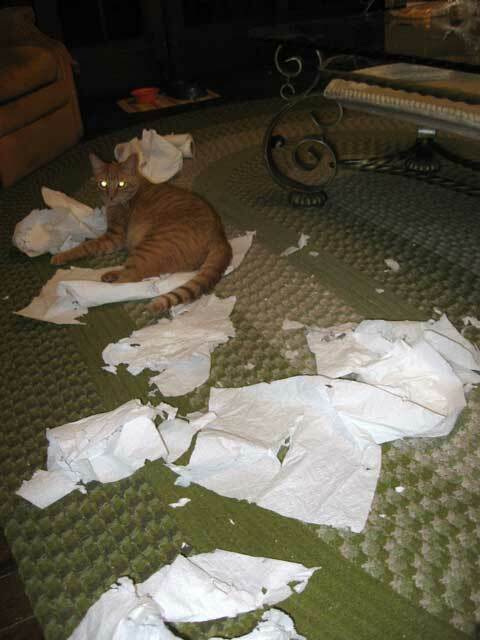 Yes, Geronimo the cat saved us yet again from the ever dangerous and sneaky paper towels of doom. Yes, this was the horrific scene when we awoke Sunday morning. Obviously a serious battle ranged for some time. We never heard a thing. Once again, saved from untold horrors of the paper towels of doom.